Ann Ree taught about a 14 day period (from Dec 1-14) called the “Dark Fortnight”. During this time we can find ourselves humbled and feeling a bit low. This is the time to prepare for the light that is to come with the appearance of the Christ-child. What makes the real life of Jesus so profound is that his advanced soul chose to incarnate as a human just as humans do. His conception is still a mystery, although some religions have their own mystical explanations of it, but he was physically born via a woman’s birth canal. He experienced that difficult, painful and shocking experience of taking a first breath with his own lungs. He grew to be a man, evolving, discovering, learning and eventually teaching by word and deed of the reason for our being here: LOVE. He was a real human being at one time. He came to show us how to be our authentic selves. So, back to the dark fortnight….I wish I could remember exactly how Ann Ree described it. It was almost 40 years ago that I heard her talking about it on a video or an audio tape (I never met her in person). What I remember, and experience every year at this time, is that these two weeks can shake us to our core. It’s like a hollowing out of our being, a deep cleaning and gleaning…all to make space for light and love. I don’t mean this poetically, but substantially, as this light and love come as a force and presence, needing room to thrive and exist. The twelve mandlas, made in January, often have a prophetic nature and this one’s title tells me that we are not alone and are called for something we know not yet. One of twelve mandalas made on January 12, 2018. 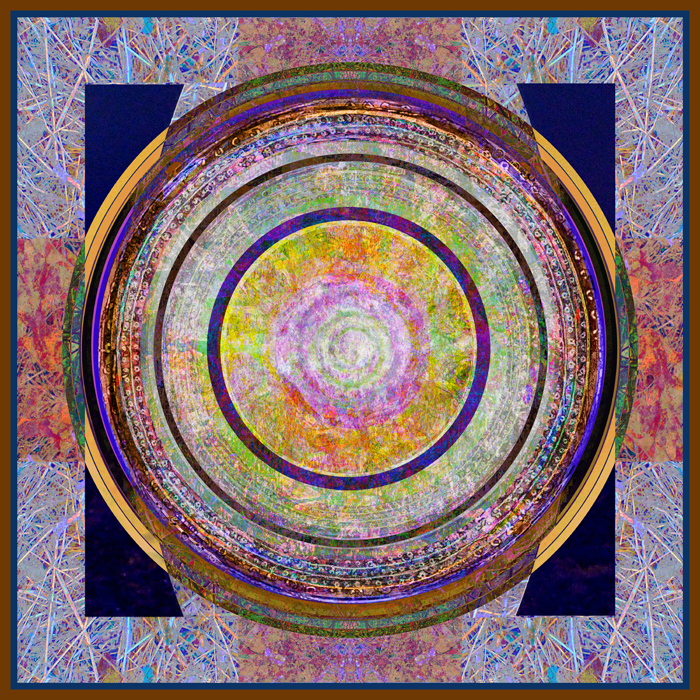 This entry was posted on November 30, 2018 by Elsah in Mandalas.